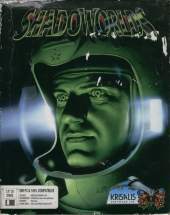 In this sequel to Shadowlands, you find yourself commanding a team of explorers through a deserted space-station, trying to discover what happened to the crew. Along the way you must solve puzzles, fight baddies and do masses and masses of exploring. You have four characters to control in this real time RPG, and the designers have done their best to remove all the numbers usually involved in RPG's (dexterity/wisdom etc) and replaced them with friendlier looking graphical bars. Another good idea is the way you can put your characters in formation instead of having to move them one at a time. The other big innovative game system is the clever use of light: Teque's "Photoscaping" system which means you can only see a few feet in front of you and you can use flares and torches to light up areas.